What Does Passive Aggressive Personality Mean? Do You Often Say These Sentences? 9 Why are you getting upset? Do you have someone that often makes your emotions so confused? Or do you know one who is your best buddy today and tomorrow they want nothing to do with you? Or a friend who avoids at all costs any form of emotional conversation? Or are you that person? If so, then you might be passive aggressive or have passive aggressive people around you. Am I passive aggressive? What are the signs? Here’s how to find out and also you can take a passive aggressive test to help you answer that question. A passive aggressive person is one who finds other means and ways to express his feelings and thoughts indirectly so as to hide the real feelings and thoughts. Usually the term is linked with feelings of piled up anger, but in a broader sense it refers to a person not being capable to be honest about his desires and emotions (passivity), and as a result they retaliate in frustration of not being able to be truthful (aggression). According to professionals, developing passive aggression is as a result of coming up with a coping mechanism over time. With the absence of honesty, problems like insecurity and relationship conflict arise over time. It is to a person’s best interest to stop this behavior, and this can be done by adopting the “I” language. An example is if you are given work to do by your boss and you think it is unfair and you do not want to do it. 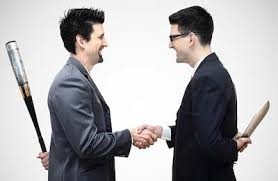 Instead of telling your boss that you are not comfortable with the assigned job, you fake a smile and agree to do it so that you stay in good terms with him. Later on you find yourself not handing the paperwork within the stipulated deadline, or you show up late for your meetings or you finish the work with inferior quality. Another example might be at home. Say your partner asks you to fold clothes yet you hate that chore. Instead of saying I would rather not, you agree to fold them. You then end up waiting for the clothes to get wrinkled and cold or you fold them and keep them in the wrong places. The whole point of you not saying no was so that you avoid causing tension in your relationship, but instead you do a sub-standard job so that you are not asked to fold the clothes again. Passive aggressive people often complain but don’t do anything to make some changes. You procrastinate to try to avoid things that you don’t want to do deep down inside. When things don’t go the way you want them to, you just sit there sulking and not tell others what you really want. Do you often forget important things that others have said? Is it true that you cannot remember the good things that others have done? This might be your passive aggressive personality trying to get a way around and not solve the real problem. Am I passive aggressive? You could start by establishing whether you are resentful. Resentment is a major sign of passive aggressive behavior. When your significant other tells you something that you do on like, do you tell them or just go along with it? Or do you throw silent tantrums or write it down instead of telling them the problem? Just like the two examples explained above, you did the work just to avoid confrontation. You think you do what others have told you and there’s no way you should take the blame for not completing the work perfectly. You can always can excuses. When you are passive aggressive, you tend to be unreasonable and stubborn. When you do not seem to be getting things going your way, the power of reason escapes you. When you deny feelings of anger yet you are boiling up inside, you are exhibiting classic passive aggressive behavior. If you find yourself saying these two words so as not to express anger or any other emotion, then you have passive aggressive behavior. Instead, you withdraw and sulk from arguments since you think expressing yourself directly will make your life difficult. If you are a perfect procrastinator, then you might be having a problem of passive aggression. Well, most people avoid doing unpleasant tasks, but for people with passive aggression they tend to avoid tasks so as to frustrate others or work their way out of the chore. If you verbally agree to do something yet you take forever to act on it, it shows that you have passive aggressive characteristics. What you are doing by accepting is temporary compliance. When you cannot procrastinate, instead you do a shoddy job. If your superior complains, you respond claiming that they always want work perfectly done and you accuse them of being perfectionists. You intentionally omit vital information that can lead to a problem and assume the other person knew. More so if you take pleasure in their anguish after they land into problems. If you tend to tell people that you will help out but deep down you know you will not then that is a characteristic of passive aggression. For example if you work at the customer care desk and you keep assuring customers that you will help yet you never. Just like passing mean complements, passive aggression can also be manifested in sarcasm. You express yourself in indirect ways that come out as mean yet socially acceptable. You express hostility out loud but mask it with the title it’s a joke. Why are you getting upset? If you are passive aggressive you will remain calm while others start reacting to your hostility. You even make it worse by asking “why are you upset?” when you clearly know that you are the cause. You then go on to question their over reactions. If you are still wondering: am I passive aggressive? Here is a passive aggressive personality test that you can take and you will soon have the answer to that question. Passive aggressive behavior is not recognized as a personality disorder by the American Psychiatric association. It is not clear what factors cause this behavior to crop up. For this reason, it is still under research. Medication is not used to treat this problem, but there are times when substances are recommended for some of its symptoms - like anxiety and depression. Since psychiatrists and psychologists agree that passive aggression is an adopted habit, it can also be let go of. This might not be easy as the individual should be able to come clean with what lead them to adopting the habit. In most cases, it is a painful occurrence that might need professional therapy to get through. One of the best ways to overcome it is by using the language” I”. This way you are able to own up to your feelings and to your thoughts. It is better than bottling it all up. Another way that could help is getting someone to tell you when they notice you are showing symptoms of the habit. This might not be easy as you may respond differently to different relationships. The person who is helping out should be careful with how they handle a passive aggressive person. They should try not to provoke them. Another way that could be helpful is writing a journal, role playing in order to learn compromise and conflict resolution. You can video tape yourself so that you can monitor your verbal and physical language.